Entering 2016, it was easy to imagine things going extraordinarily right for the Mets’ rotation. Jacob deGrom and Matt Harvey were presumptive Cy Young vote getters, if not necessarily favorites to take home the award. 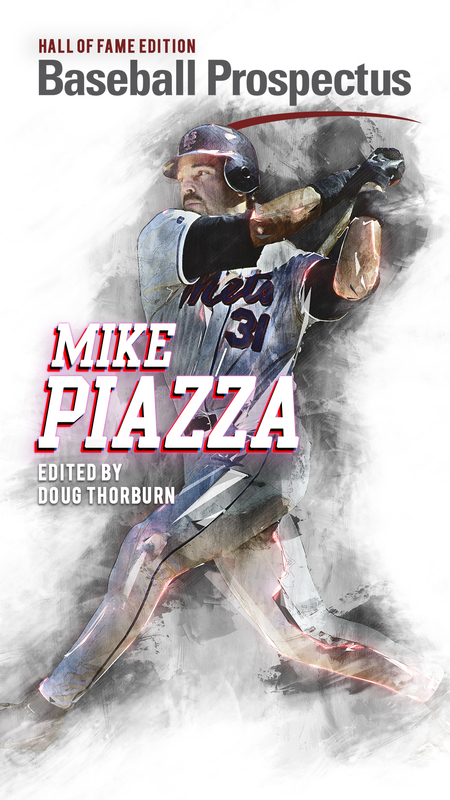 Noah Syndergaard demonstrated flashes of brilliance in his rookie season that he looked to build upon, and Steven Matz seemed poised to have a strong rookie campaign–he came in second to Corey Seager in Baseball Prospectus’ pre-season predictions for National League Rookie of the Year. The rotation’s weakest link was Bartolo Colón, but in the context of NL fifth starters, even he appeared to represent a strength. But it was also easy to imagine things going wrong for the Mets’ rotation. They are, after all, pitchers. The outcome has been in the middle. As Mike Vorkunov recently wrote, the Mets’ rotation this season has been better than it was at the same point in 2015. He also notes, however, that the rotation has seemed to teeter on the precipice of disaster. Indeed, one day after that article went up, the Mets announced that Matt Harvey would undergo season-ending surgery. But even that news generated responses that would have seemed out of place before the season: perhaps it was a merciful end to a peculiarly poor season for Harvey. Additionally, Syndergaard and Matz seem to have weekly injury scares on account of the bone spurs they live with, and this all culminates in the threat of too many Logan Verrett starts. As a result, it’s starting to look more and more likely that the Mets could pursue external help to shore up the rotation. 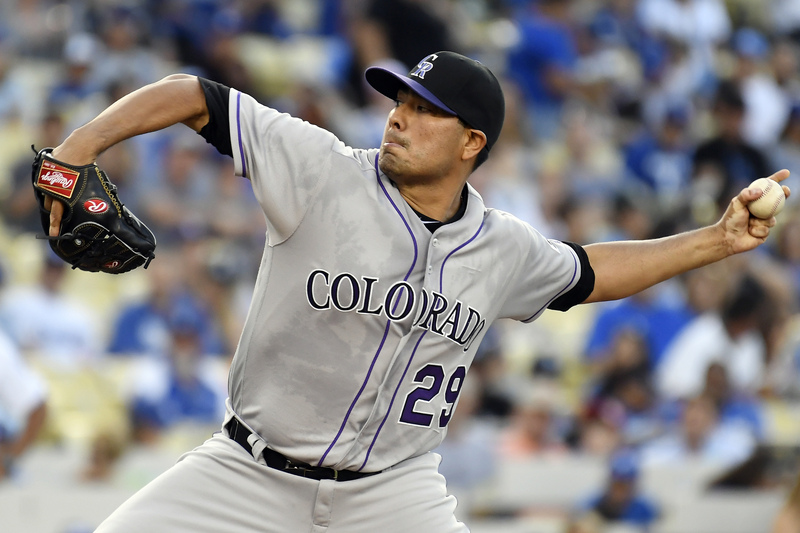 One pitcher that might fit the bill for the 2016 Mets is Colorado Rockies left-hander Jorge De La Rosa. De La Rosa’s season stats thus far don’t recommend him: a 5.47 ERA, a 5.40 FIP, and a handful of adjusted metrics that peg him as a below average pitcher. De La Rosa even had a stretch this season where the Rockies demoted him to relief, although the woeful lack of major-league pitching depth brought him back to the rotation after a short while. However, De La Rosa’s extensive run of reliability and underlying performance indicate that he’s much better than his ERA and FIP suggest. First, let’s look at the long view. De La Rosa is now 35 years old, but he’s been consistent since 2013, his first year back after undergoing Tommy John surgery in 2011. In 563.7 innings pitched in those seasons, De La Rosa has posted a 4.12 ERA and 4.25 FIP while pitching half of his games in the unfriendly confines of Coors Field. In the same time span, he’s struck out 7.1 batters per nine innings and walked 3.6. These figures represent the best and worst tendencies of De La Rosa. Still, comfort can be found in De La Rosa’s velocity and the sustained quality of his secondary pitches, which are the primary reasons why he’s been relatively effective and able to get a lot of strikeouts. De La Rosa’s fastball velocity has declined in recent years, as happens to pitchers, but it has not been a dramatic fall as he’s entered his mid-30s. According to Brooks Baseball, De La Rosa’s fastball velocity has only declined 1.13 mph since his return from Tommy John surgery in 2013. This year, it has sat at 91.25 mph. In addition, he can still dial it up to the mid-90s when he has to. 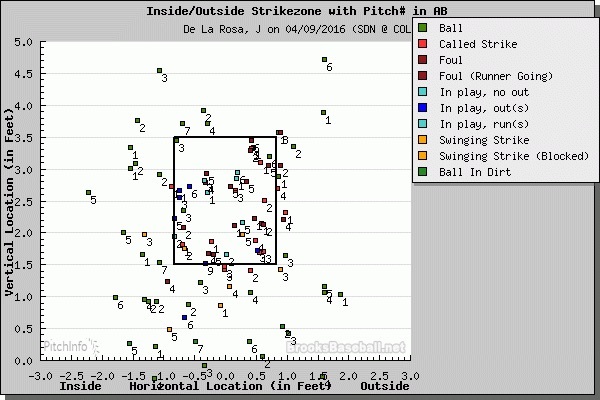 De La Rosa’s best secondary pitch is his splitter, which is more of a split-change. He’s averaged 82.71 mph with the pitch so far this season, which gives it enough velocity difference to be effective. When he has a feel for it, the pitch generates a lot of whiffs due to its downward vertical movement. 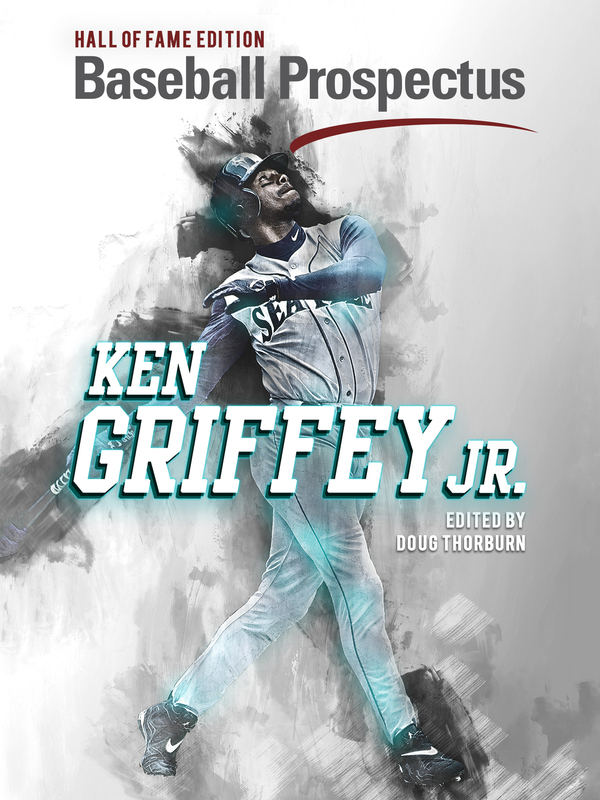 In 2016, batters have swung and missed the pitch 22.04 percent of the time, which is the best whiff rate the pitch has had in his post-surgery career. While De La Rosa’s surface stats won’t inspire a lot of confidence, his underlying performance suggest that he could be a valuable role player in this Mets’ rotation. The Mets’ rotation does not need a savior; it needs insurance and support. De La Rosa could provide both. Significantly, he’s also attainable. De La Rosa is in the final year of a contract set to pay him $12.5 million, so the Mets would only have to cover less than half of that for the remainder of the season. And gone are the days when a team would offer a prospect like Eduardo Rodríguez in exchange for De La Rosa, as the Orioles reportedly did in 2013. The Mets wouldn’t have to give up a top-tier prospect. De La Rosa does have 10-and-five rights, so he would have to approve any trade the Rockies make, but it’s almost certain that he would do so if it meant going to a contender. De La Rosa’s not someone who should take the ball for the Mets if they do end up competing in the single elimination Wild Card game, which is increasingly looking like the best-case scenario. Instead, he’s someone who can help make sure the Mets get there in the first place.